Halloween is soon here, and you don’t want to be left out of the new trends! No one wants to be wearing the same old clown or pumpkin costume when they could have been something fantastic. This spooktacular holiday does only come once a year, and the themes for this year are looking mighty super. 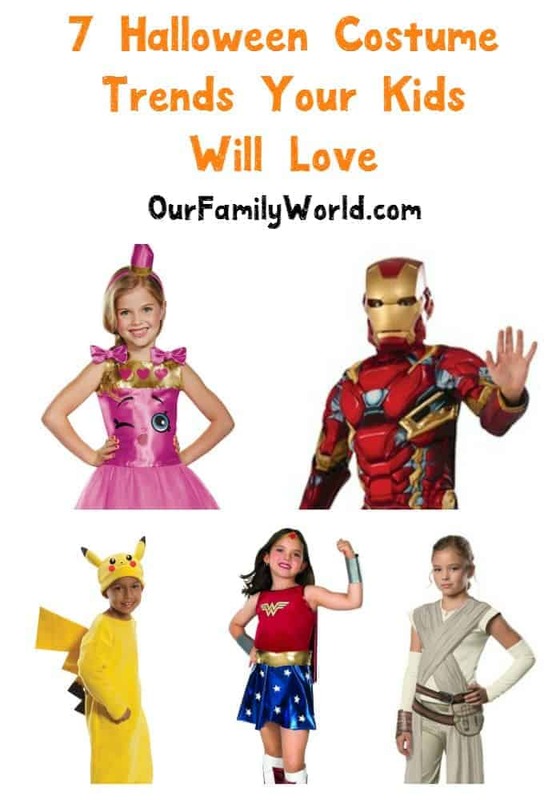 Check out some of the best Halloween costume ideas for kids below that will leave your kid thrilled and right on trend! Do you know of any other Halloween costume trends for 2016 that I missed? 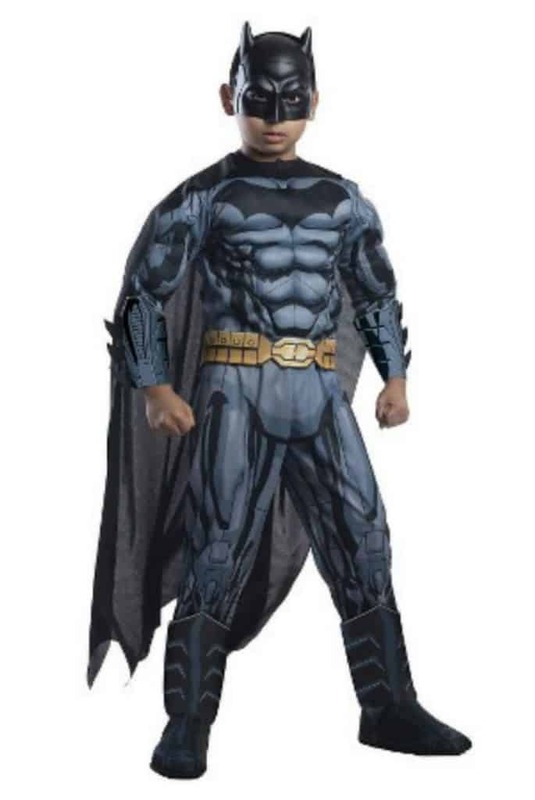 What is your child dressing up as for Halloween? Tell me in the comments! *Affiliate links are included with this post for items we love. Thanks for your support! Superheroes are always a favorite for Halloween, but the box office is definitely adding fuel this year. With both the release of Batman Vs. Superman, both of these characters are flying especially high as Halloween costume choices this year. Are you more of a Batman or a Superman? Superheroes are defiently one of the biggest trends for the Halloween 2016 season and everyone is feeling a bit super. Check out this Wonder Women costume that is here to save the day. You are going to want to snag one of these for your favorite girl. You might have heard of this little fad that happened this summer, a tiny game a few people were talking about called Pokemon Go. With the release of this game, literally, everyone was glued to their phones as they climbed mountains, scaled buildings and walked into mailboxes trying to catch them all. Chances are pretty good your child will want to be Pikachu for Halloween or one of the other Pokémon characters. 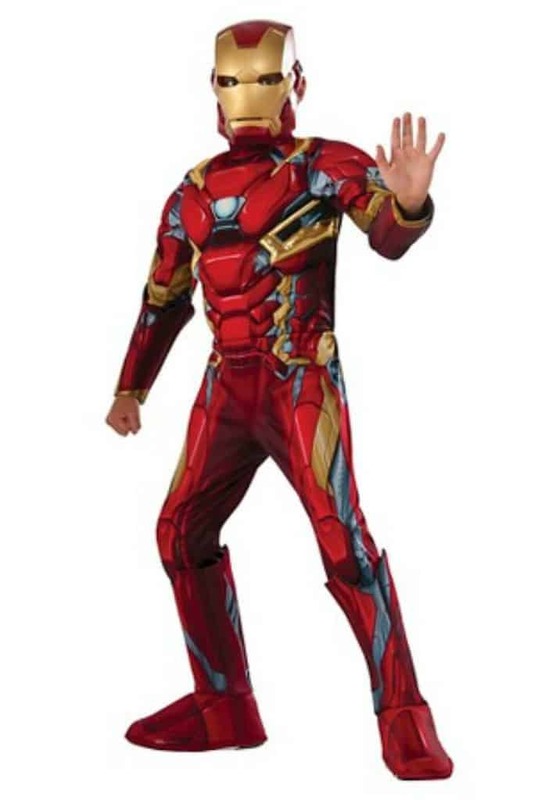 Not to be outshined by DC, Marvel’s Avengers are also hitting the costume scene hard this year for Halloween. Both Captain America and Iron Man are making waves this year, but we’re also seeing Spiderman and Black Widow gain in popularity for trick or treat. Making big waves recently, Shopkins are becoming so much more than a fad. These tiny characters including Lippy Lips, Queen Cupcake and Apple Blossom and more are tiny and sweet. 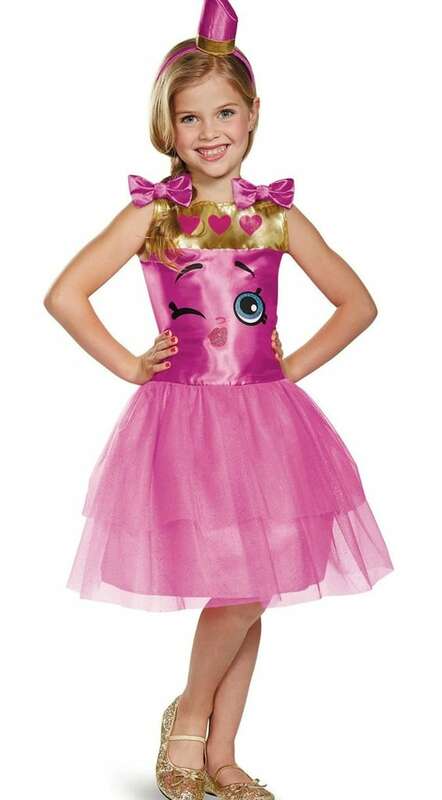 I like these fun Shopkins costumes that will make your kiddo shine for Halloween. Star Wars just seems to get more popular by the second. With a release of a new Star Wars movie last year, plus a new one in the works for 2017 Luke, Darth and stormtroopers are all the rage. 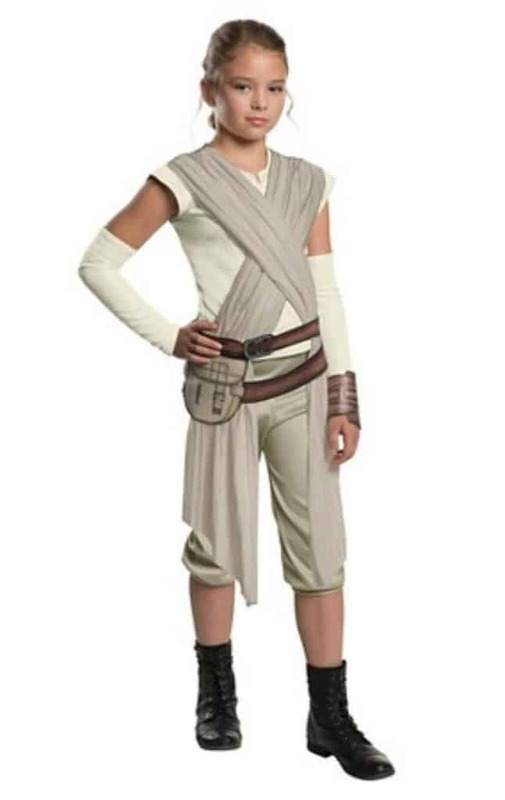 One thing I’m happy to see is more Rey costumes hitting the shelves, as many girls want to dress up as this awesome heroine. 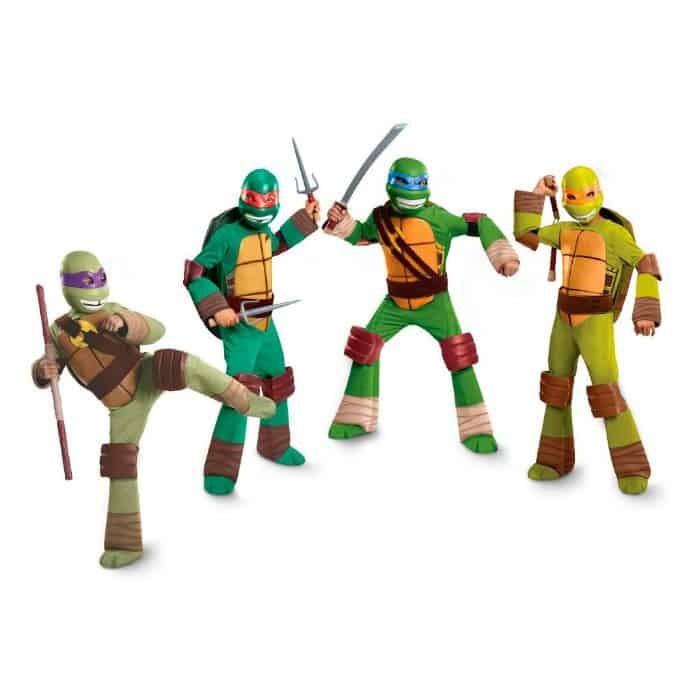 TMNT has been making a major comeback over the past few years and has a growing fan base of kids, both for boys and girls. While the new Teenage Mutant Ninja Turtle’s movie met mixed reviews at the box office with adults, kids are eating it up. I expect to see many turtles on a half shelf fighting crime, eating pizza and yelling “Turtle Power!” at Trick or Treat this year! Grab this trend for your favorite turtle. Those are all the favorites for the year for sure!! Mine will be wearing the pokemon and shopkins ones! Halloween is our favorite holiday! My nephew would love the Ninja Turtle costumes. He’s always Batman but maybe this year he’ll choose something different. My kids are already having difficulties selecting a costume, so this post comes at the perfect time. I think Star Wars would be a great fit for all three of them. Those costumes are so cute! My kids would love the Star Wars costumes! I cant believe its almost time for halloween. Pokemon will probably be the most popular. I have a feeling the pokemon costumes will sell out thisbyear. They are the big one with the new pokemon go. ALL Great Ideas My Boy Will Love The Ninja Turtles, My Girls Would Love The Shopkins Outfit & I Would Love The Wonder Woman Costume! LOL! Of Course Star Wars & Pokemon Costumes Will Be Found On Halloween Night They Are Sooooo Popular! Thankjs For Sharing! !